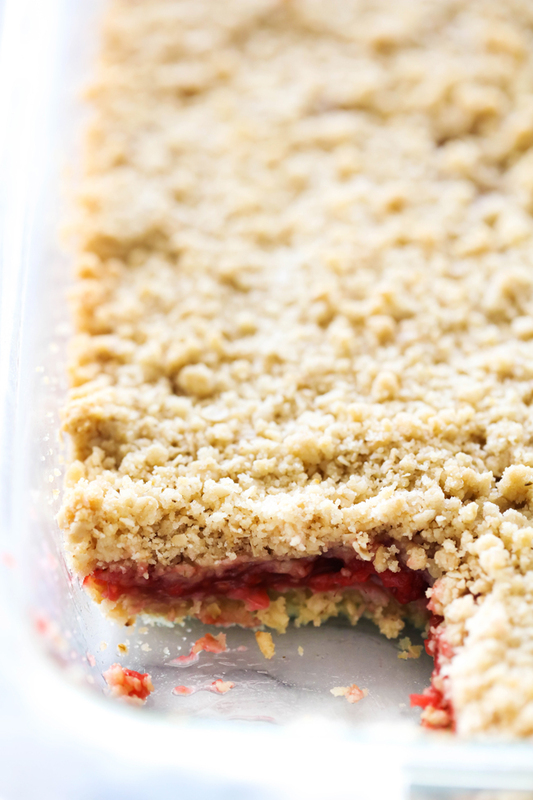 These Raspberry Crumble Bars are absolute perfection. The crumb crust and topping is such a fantastic blend of texture and flavor. The raspberry filling is the star of this dessert; tart and sweet and completely delicious. As I have gotten older, raspberries have become one of my top favorite fruits. I crave them regularly. I love making desserts that showcase h ow delicious they are. These Raspberry Crumble Bars were made SEVERAL times in the last few months at the request of everyone who has tried them. This recipe is truly a showstopper. 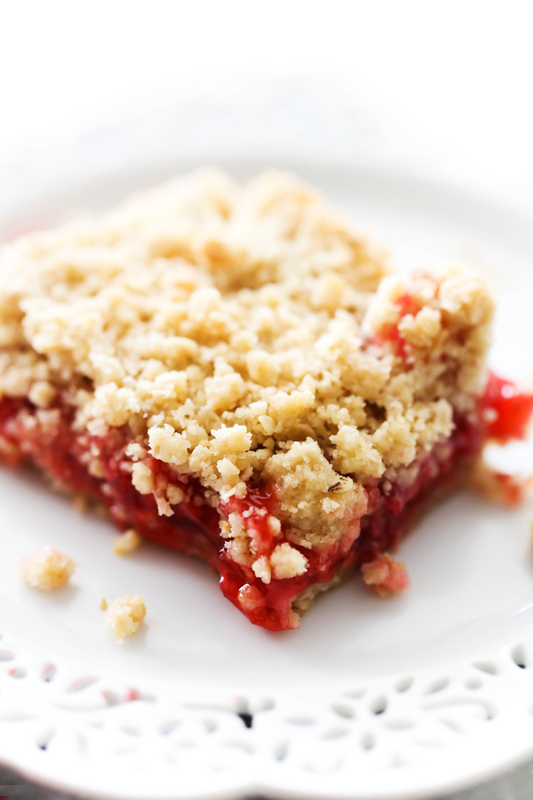 The crumb crust/topping is the perfect complimentary texture to the saucy raspberry filling. The two combines produce an incredibly divine dessert. Don’t let this recipe pass you without attempting to make it. You, and everyone else who tries it, will request it again and again. Spray 9x13 inch baking dish with cooking spray. In a medium saucepan, combine 2 cups raspberries, water, sugar, cornstarch and lemon juice. Over medium heat, bring to a boil stirring constantly. Cook until thickened. This usually takes about 5 to 7 minutes. Remove from stove and stir in remaining raspberries. In a large mixing bowl, combine butter, sugar, brown sugar, and vanilla. Beat until well combined. Add flour and oats, mix well. Dough will be crumbly. Set 2 cups of the mixture aside for the top. Press the remaining dough evenly onto the bottom of the prepared baking sheet. Spread raspberry evenly sauce over the top. Sprinkle remaining crumbles evenly over the top. Bake at 350 degrees F for 30 to 35 minutes. Cool and cut into squares and serve. Too late for raspberries over here but keeping this one for next season ! Thank you so much !